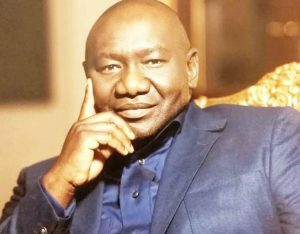 International business leader and founder of Aiteo Group, Benedict Peters, was awarded Africa’s Oil and Gas Leader of the Year at the Forbes Best of Africa Gala which held at Forbes Headquarters, New York City on September 27, 2018. The award is an acknowledgement of Peters’ significant contribution to oil and gas development in Africa by visionary leadership, distinguished service and transformational realignment of a sector dominated by International Oil Companies. The Forbes award also recognised Mr.
Peters’ commitment to bettering the lives of people and societies across Africa by philanthropic engagement. On presenting the award Mike Perlis, CEO and vice-chairman of Forbes Media said, “recipients are singled out for their work in bringing prosperity to all 55 countries of the African continent”. projected total output of 250,000 bopd in the short to medium term. international presence in the DRC, Ghana, Guinea, Liberia, Zambia, Zimbabwe as well as offices in Geneva and Paris. company’s host community. He has also assisted thousands of internally displaced persons in northern Nigeria while supporting clean water sanitation initiatives in Africa, in partnership with Face Africa, improving the lives of over 25,000 people in rural Liberia. Peters addresses social and environmental issues in the agricultural sector through the Joseph Agro Foundation, set up in July 2014 to tackle chronic unemployment and water shortage.